Jilbab. Niqab. Al Amira. Dupatta. Burqa. Chador. Even the language used to describe the various kinds of clothing worn by Muslim women can seem as complicated and muddied as the issue itself. Rarely has an item of cloth caused so much consternation, controversy and misunderstanding as with the Islamic headscarf or veil. For those Muslims who literally wear their religion on their sleeves, hijab (from the Arabic for curtain or screen) can be many things. For some it is a cultural practice handed down through the generations, an unquestioned given that is simply adopted. For others the need to dress and behave modestly can define a person’s relationship with God, their religious devotion or even their politics. For others still hijab is a complicated journey, one with twists and turns where veils are briefly discarded on the ground or taken up with willing fervour. 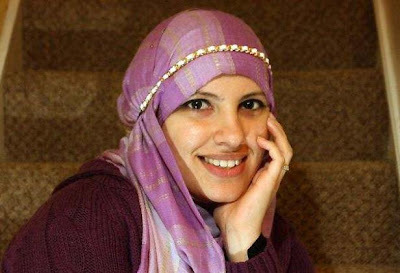 “Muslim women wear hijab for many reasons including piety, identity and even as political statements,” says Tahmina Saleem, the co-founder of Inspire, a consultancy which helps Muslim women become vocal members of their communities. “Most do so willingly, some unwillingly”. To its detractors the headscarf – and in particular its more visible cousin the face veil – is simply a form of oppression, regardless of whether modest clothing has been adopted willingly or not. Why, the abolitionists ask, would any woman ever voluntarily choose to hide her hair or face in public? Later this month France’s ruling party will debate a law that could see the face veils banned in public, meaning any woman caught wearing a niqab or a burqa (the Arab and Afghan versions of a full face veil) could be fined £700. If the law is passed it would represent a watershed moment in Western Europe’s relationship with its Muslims citizens and could encourage politicians in neighbouring countries to promote similar legislation. In the argument over whether to ban or not to ban, the polemicists usually reign supreme. Hijab is either good or evil, wrong or right. The voices of the women whose lives would be monumentally affected by any sort of curb on Islamic clothing are rarely seen or heard from. Today The Independent speaks to five British women from different walks of life about what form of hijab they choose to wear and why they wear it. From a graduate who became the first one in her family to cover her face entirely, to the mother of four who chose to take off her headscarf and sees no problem with remaining a devout and practising Muslims – their stories are as varied and colourful as the scarves on their shoulders. Read the complete article with the interviews here.